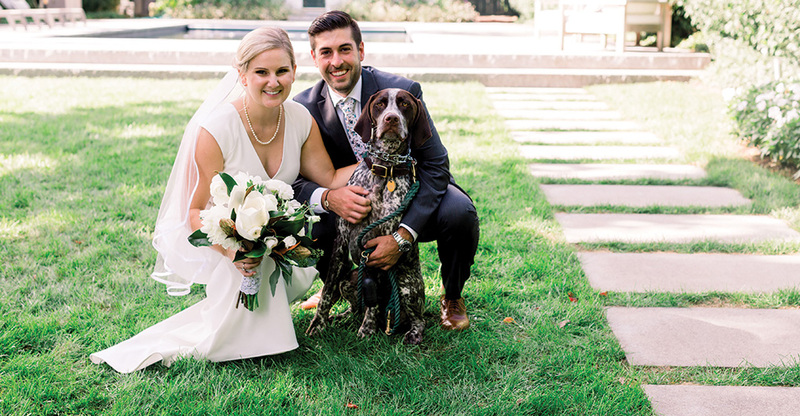 An outdoor wedding with hints of New England charm and southern flair. 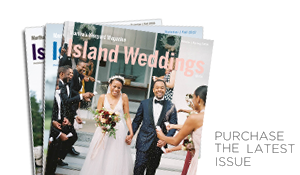 About six months into the planning process, Rebecca Mersiowsky and Taylor Pierce began to rethink their wedding. Rebecca hails from Virginia and wanted their New England ceremony to reflect her southern roots. The rustic feel of the Agricultural Hall in West Tisbury initially seemed to fit the bill. “But the more we began planning, the more we realized that a huge wedding in a barn wasn’t very us,” she said. With oyster shells in hand, guests found their way to long farmers' tables while Rebecca and Taylor chose seats that looked out over their family and friends. On this decision, too, they revised their original plan. “We actually were against a sweetheart table at first,” Rebecca admitted. But in the end, they realized they had made the right decision: it was nice to share little moments as they dined together for the first time as husband and wife. Welcome Dinner Caterer: Bill Smith’s MV Clambake Co.